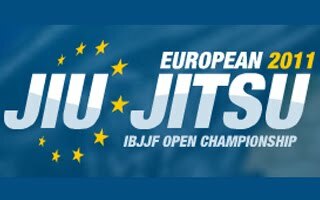 About six months ago, I gathered a group of guys from my gym, who were interested in going to Portugal for the 2011 IBJJF European Open tournament. We made a six month training and competition plan together with an individual strategical gameplan for each of them. Since then, we have worked on these gameplans in the gym and in several competitions around Europe, throughout the fall of 2010. There has been some wins and losses along the way, and a lot of good experience has been gathered, so I think we are as ready as we can be for the biggest tournament of Europe next week in Portugal. Only four of the original 14 guys from the project cannot make it next week. Two of them with unfortunate injuries, but all in all, I am very pleased to be able to set a team of ten, well-prepared athletes for the event. I think they will all do really well. Winning medals, I don't know, because the brackets are HUGE and everything can happen, but most importantly, they are as prepared as they can be, and from there, there is nothing more they can do but just perform on the day. 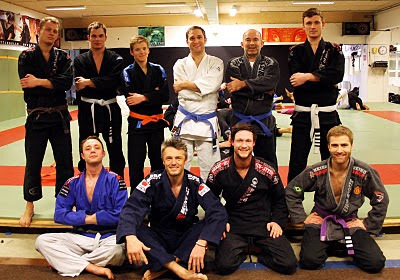 I am signed up in brown belt adult -82.3 kg myself, which is a pretty big group with around 20 guys, I think. I don't feel the smallest bit nervous or anxious about competing in such a big and prestigious event. I think the main reason (besides my usual lack of interest in winning) is, that I probably couldn't be much better prepared than I am right now. I have trained BJJ consistently five days a week for the last 4 months. On top of that, I have been doing our cardio/endurance workout with the whole team twice a week and heavy lifting on saturdays. No injuries have held me back and my game feels great. With all that preparation, I just feel, that there is nothing more I could have done to prepare better, so when the day comes and I step on the mat, the rest is up to the Jiu Jitsu gods :) If I win, then I was am better than him, if I lose, he is better than me. It's that simple. Nothing I can do to change that now. what specifically did you do to prepare for tournament? goood luck brother!!! hopefully there will be some videos!